50 shades now in the shop! Have to say it was tricky taking this photo. Not only is the light tricky at this time of year for indoor photos but we had to squeeze in 5 shelves. We started with just 14 colours, 3 years ago! 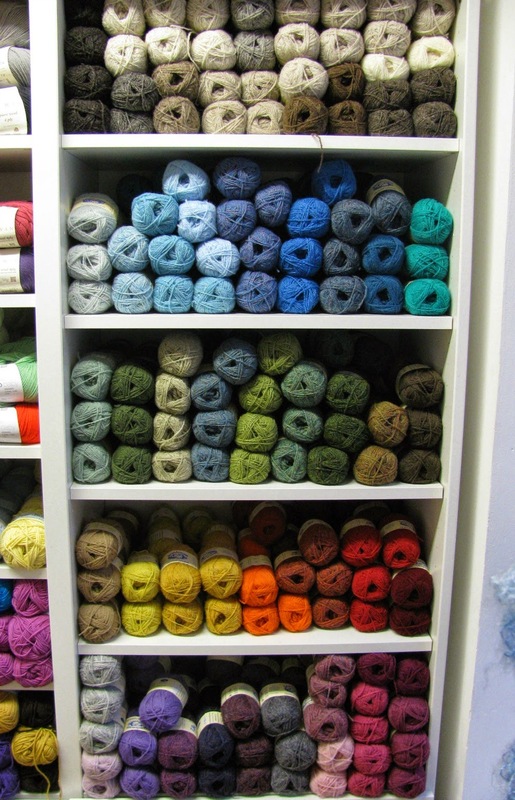 (Don't worry... we still have Jamieson's of Shetland Heather, it has moved up the wall abit and now sits with the other Aran weights).